Former runner up of seasons 3 America’s Next Top Model, Yaya Dacosta is set to star as the late great iconic Whitney Houston in her biopic set to air on Lifetime. Directed by Angela Bassett, Yaya will play Whitney Houston alongside Arlen Escarpeta as Whitney’s husband Bobby Brown. 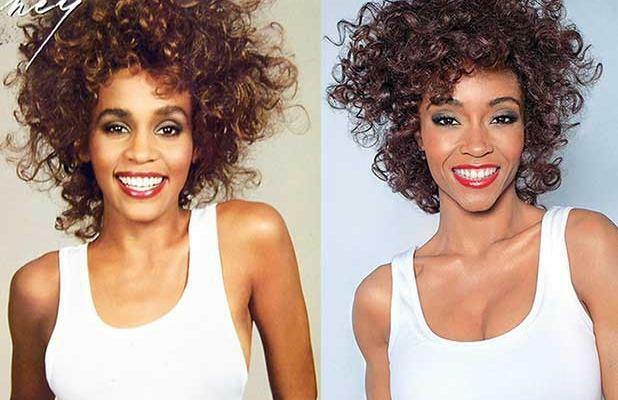 The 31 year old model/actress recreated the singers 1987 album cover Whitney. The biopic is already in production but will not air until early 2015. Did Yaya pull off the look or what ?